South Africa, officially the Republic of South Africa, is a country located at the southern tip of Africa. It is divided into nine provinces, with 2,798 kilometres (1,739 mi) of coastline on the Atlantic and Indian oceans.To the north of the country lie the neighbouring territories of Namibia, Botswana and Zimbabwe; to the east are Mozambique and Swaziland; while Lesotho is an enclave surrounded by South African territory. 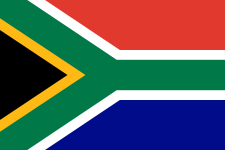 South Africa is multi-ethnic and has diverse cultures and languages. Eleven official languages are recognised in the constitution. Two of these languages are of European origin: South African English and Afrikaans, a language which originated mainly from Dutch that is spoken by the majority of white and Coloured South Africans. Though English is commonly used in public and commercial life, it is only the fifth most-spoken home language.All ethnic and language groups have political representation in the country's constitutional democracy comprising a parliamentary republic; unlike most parliamentary republics, the positions of head of state and head of government are merged in a parliament-dependent President. About 79.5% of the South African population is of black African ancestry, divided among a variety of ethnic groups speaking different Bantu languages, nine of which have official status. South Africa also contains the largest communities of European, Asian, and racially mixed ancestry in Africa. Is a province in South Africa.lies in eastern of South Africa, north of KwaZulu-Natal and bordering Swaziland and Mozambique. The Orange Free State is a province of South Africa. Its capital is Bloemfontein, which is also South Africa's judicial capital. Is one of South Africa's leading nature and conservation based tourism destinations. Is one of the nine provinces ,it was Called the Transvaal.When the New Flag came to Place. Is a province of South Africa. KwaZulu-Natal was made up of the province of Natal and the homeland of Zulus. Is the northern province of South Africa. Is the largest and most sparsely populated province of South Africa. The capital is Mafikeng.The province is located to the west of Gauteng. Under South Africa's new democratic constitution the four provinces were broken up into the current nine, and the "homelands" blinked out of existence. The Cape became the Western Cape, Northern Cape, Eastern Cape and the western half of North West, while the Transvaal became Limpopo, Mpumalanga, Gauteng and the eastern half of North West. typically wrapped in a patriotic, religious format. Jan" van Riebeeck in April 21, 1619,he was born in Culemborg.And founder of Cape Town . station for the VOC trade route between the Netherlands and . Britain and its territory expanded very substantially through the 1800s. 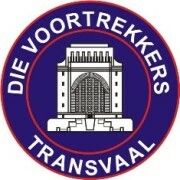 of two independent Boer republics, the South African Republic Transvaal Republic and the Orange Free State. leaders including Louis Tregardt, Hendrik Potgieter, Sarel Cilliers, Pieter Uys, Gerrit Maritz, Piet Retief and Andries Pretorius. was declared a National Heritage Site by the South African Heritage Resource Agency. was a Boer general during the Second Boer War and is widely regarded as being one of the strongest military leaders during that conflict. The Transvaal War,was fought from 16 December 1880 until 23 March 1881.
whites and the two groups kept on clashing. The Xhosas stole the white farmers’ cattle and the farmers occupied territory that had traditionally belonged to the Xhosa. was adopted on 27 April 1994, at the beginning of the 1994 general election, to replace the flag that had been used since 1928. The new national flag, designed by State Herald Frederick Brownell, was chosen to represent the new democracy. translated as "unity is strength". is known for its ethnic and cultural diversity. who are not included in the eleven official languages. is a country located at the southern tip of Africa. It is divided into nine provinces, with 2,798 kilometres (1,739 mi) of coastline on the Atlantic and Indian oceans. To the north of the country lie the neighbouring territories of Namibia, Botswana and Zimbabwe; to the east are Mozambique and Swaziland; while Lesotho is an enclave surrounded by South African territory. Tuis blad is a webpage to help to solve the crimes,people that have been killed,farm murders,,missing childeren and many other cases,that have happened in the past,that still has not been solve till today.so it you no of a crime or a case and would like me to put it on Tuis Blad,that has happened and not solved till today,let us no ,we are glad to put it on our page free of change ,and willing to help.send me a e-mail at damiande@web.de or leave a message on my gestbook,and we will contact you. is a country located at the southern tip of Africa. It is divided into nine provinces, with 2,798 kilometres (1,739 mi) of coastline on the Atlantic and Indian oceans. To the north of the country lie the neighbouring territories of Namibia, Botswana and Zimbabwe; to the east are Mozambique and Swaziland; while Lesotho is an enclave surrounded by South African territory. this day finally assumed their more or less modern forms. This was the period of the Great Trek, the Zulu Wars, The Boer Wars and the gold rush on the Witwatersrand, all factors that contributed to the formation of a South African, and chiefly, Afrikaans identity. This was of course reflected in the songs of the white and coloured South African peoples. learning experiences as they live in and learn about South Africa. These South African recipes are also just great food for company and comfort times. This website Page concirns of Wild Life Videos ,and many more can be seen on youtube. see many more videos. http://www. most difficult animals in Africa to hunt on foot. The term is still used in most tourist and wildlife guides that discuss African wildlife safaris. lion, African elephant, Cape buffalo, leopard, and rhinoceros. is one of the largest game reserves in Africa. It covers 19,485 square kilometres (7,523 sq mi) and extends 360 kilometres (220 mi) from north to south and 65 kilometres (40 mi) from east to west. with the Gonarezhou National Park in Zimbabwe, and with the Limpopo National Park in Mozambique. The wildlife pictures and other resources on this site are for enjoyment. Please browse around and share the sights. years or so.The status of 14 species appears unchanged, with insufficient information being available for the remaining 3 species. it threatened or maybe even endangered? On this page you will find widget ,what you may use for you Homepage and Pictures,just click on the link or the picture ,right click and save on your Pc or Laptop. download for your computer desktop wallpaper for free. images and pictures ? So you are correct here on our gifs images collection page / archiv. I guess it's not Darfur, huh? which is not at war. but this has not had an impact on the rate of the occurence in South Africa. These murders are not ordinary robberies with aggravated circumstances - but victims are being tortured in brutal ways during the killings. The poetry of South Africa covers a broad range of themes, forms and styles. This article discusses the context that contemporary poets have come from and identifies the major poets of South Africa, their works and influence. plunder for their share of the rich seam of gold that runs through the area. This Page has Information on passport,visas,money and safty,and many more Information on South Africa. Welcome to the internationally renowned Kruger National Park, boasting the most diverse game viewing experience in Africa. Purely in terms of facilities and the range of accommodation offered, no national park anywhere in the world can match what Kruger National Park in South Africa has to offer. South Africa has been described as the world in one country, offering rich diversity in landscapes, people, culture and history. AA Travel Guides offers you all the info you need to find quality accommodation and plan your travel in South Africa. South Africa safari information and tips to help plan your South African safari. This guide to South African safaris includes tips on how to choose your safari, safari tour operators, safari photos, big five information, top safari destinations, adventure safaris, family safaris and more. Here you will find a Link or Two and some Tools were you can add to you Homepage or Blogs.Just click on a link , and it will take you to the website. spectrum of activities both on land or sea. Here we give just a few of the highlights of the country to help you to decide what you want to see and where you want to stay on your holiday. Documenting genocide in South Africa from 7 June 2012 to current day.